Kate Middleton who stays busy with royal responsibilities took a trip south to Portsmouth, England. To visit the construction site for the new Ben Ainslie Racing Headquarters and Visitor Centre, the pregnant Duchess of Cambridge was in the harbor town. She also looked to be enjoying herself as she mingled with the locals. 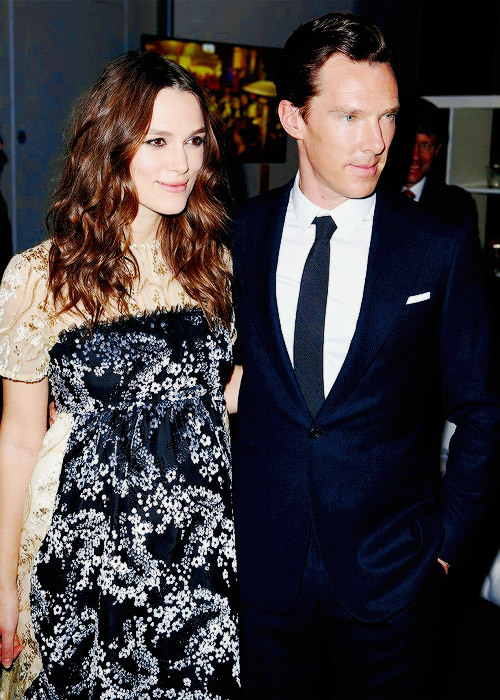 On February 5, last night Benedict Cumberbatch and Keira Knightly were present at ‘The Imitation Game’ Pre-BAFTA party in London, England. The ‘Sherlock’ stud and his ‘Love Actually’ actress friend who is pregnant seemed to be happy while they greeted their fellow stars at the ME Hotel. Both of them looked stunning while posing for the shutterbugs. Street in London, England on Dover Street on Friday morning rounds Dec12, Victoria Beckham. The former Spice Girl onto the street in her chic white sweater and marble rose full-length wool skirt with claret heeled boots and a leather envelope clutch bag. In 2014 British Fashion Awards Posh was honored with the Best Brand Award and she gave props to her handsome husband David Beckham.